Picnic will begin at 11:00 am. Bring side dish to share; hamburgers, hot dogs & lemonade provided. Special program to commemorate Pastor John’s 14 years of service to our congregation starts at 1:00 pm in the sanctuary. God’s blessings to you during this beautiful and warm summer season. This note is to share with you some important details regarding God’s work in my life and the life of my family. I am prayerfully in the process of accepting a call to serve as senior pastor of a church in the Portland, Oregon area. 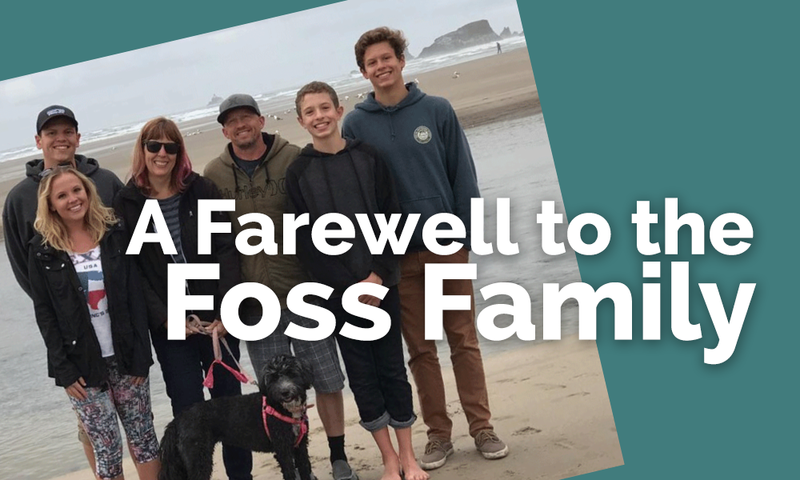 This has been a prayerful and discerning process for me and my family and we believe God is now calling us to serve this church and the community in a growing and challenging area of the Pacific Northwest. I will be giving this announcement at all services (Laguna Woods and Aliso Viejo) this Sunday, August 12. My final Sunday will be August 19 when I will preach at the Aliso Viejo campus. Following worship we will all participate in the church picnic at the Aliso Viejo campus, followed by a special program at 1 pm, sharing memories and celebrating our time together over these past 14 years that I have served this congregation. We have been so blessed by our Lutheran Church of the Cross family. Our children have all been extremely blessed to participate and thrive in our church and Aliso Viejo Christian School ministries, and Sarah and I have been blessed by your friendship and service in the Lord together. Although we will miss you all greatly, I am confident that God will lead me and lead LCOTC into the future with many blessings and ministry opportunities ahead to bless our families and our community. May the Lord Jesus continue to be our guide and the One we look to for life, healing and salvation. He is faithful. P.S. If you want to send me or my family a note you can do so by clicking the button to the left. Also if you have any questions, just ask.